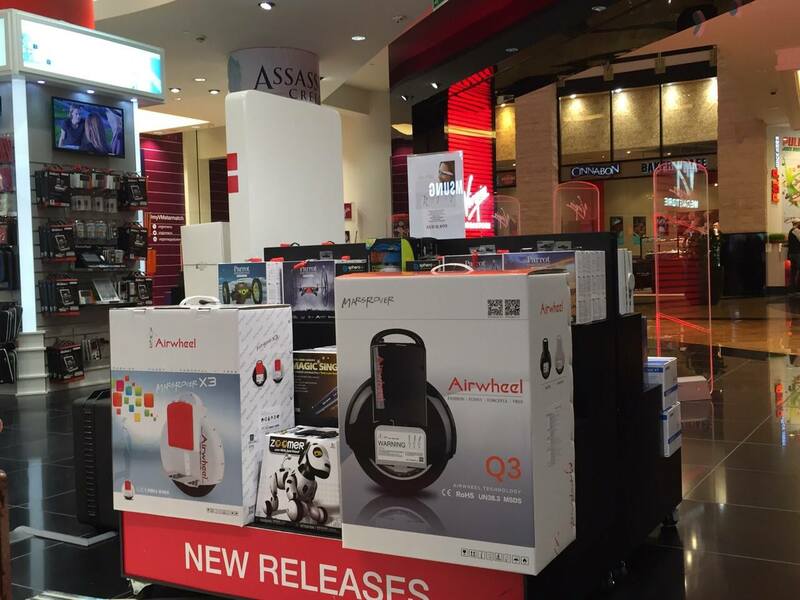 Abstract: Airwheel was featured on New Zealand RadioLive, Mark Sainsbury Sunday Show. People in New Zealand who want to get Airwheel can get a total of 20% discount if they post their views on Airwheel New Zealan website. Airwheel was featured on New Zealand RadioLive, Mark Sainsbury Sunday Show. The following is the selected script between the host Mark Sainsbury and Airwheel New Zealand distributor Dave Blake. Mark: I came across a thing called Airwheel. It's like a unicycle Segway. It's literary a wheel and it has a pedal at each side that you can stand on. This thing has got a gyro known as gizmo and you can go by leaning forward and scoot along. It looks just like something out in the future. So it is really cool. We'll talk about the Airwheel. That's just freaky and it is something really weird. Here's Dave Blake. Morning Dave. Dave: Morning Mark. How are you? Mark: I'm gonna say, when I saw the thing, I thought… I mean just look at it, it looks freaky doesn't it? Dave: Yeah, pretty fantastic isn't it? And as you say, welcome to the future. Mark: So how can you tell it is not Segway. It is literally just a wheel, isn't it? How are you balancing on a wheel? Dave: Well it's pretty crazy. As you say, it's a wheel which has a tyre, and an inner tube. It's also got a battery in there, a Li-ion battery which is believed to rely on the advanced technology that allows to do this sort of stuff. It has the gyros to do the balancing. Electronics that allow people to actually ride it. And the great thing is they do fit into a tiny little wheel. Mark: How long does it last? How much is the riding time to get out on a charge? Dave: It depends on the model you are going for and also depends on the way and conditions that the rider will go up and down the hill. We've got a whole range of models. We've got a model that can take somebody like me 90 kilos for approximately 10 kilometers. 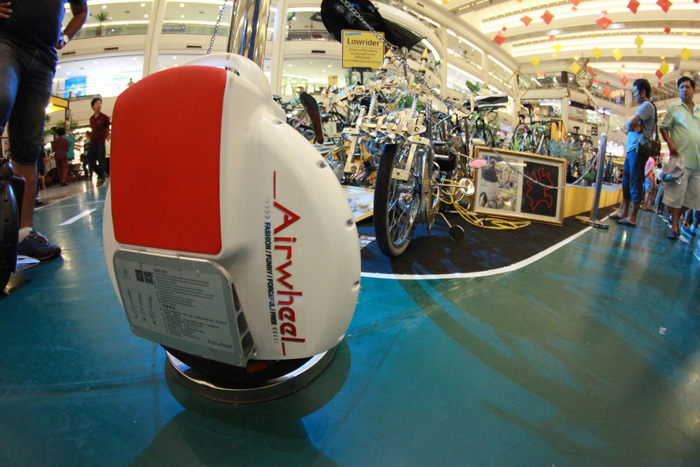 So this Airwheel is pretty economical and cost-effective. Mark: And what do these things cost? Dave: Currently we got a 10% discount. The lower model is reduced from 995 to 895, and then they go all the way up to 1895. Mark we have something we haven't discussed about. We have a special offer if you want to hear about it. Dave: Well as I said there's a 10% discount at the moment. And we haven't offer this in New Zealand before, but any of your views that you want to put into our website, you'll gonna get another 10% discount. Mark: Wow, that's very generous. But I'm gonna say it's challenging at the start. You really need people to help you a bit. But, all of a sudden, you'll think "wait a minute, I'm sort of getting a bit of hang on it". Dave, how many people are into this staff? Dave: We launched in October last year. When people see it, they just go "Wow, what is it?" So we are really enjoying it. It's super fun. Mark: The technology is getting this sort of things smaller. It literally looks like a unicycle version. Dave: This is the fantastic advancement in modern technology. Things get better, things get smaller thanks to the powerful Lithium battery. Mark: The good thing is that even if you are not so young and not super fit, you can still make this thing work. Dave: Absolutely, we've got people using them for a whole range of issues. The first one is it's just a bit fun. The second one is people actually use it for commute.We've also got people up to 73 riding around and we also have a version that's got a handle which is easier to learn. Mark: For a skateboarder, he jumped on and get nailed within about two minutes. Dave: Yep, but it took me four days to learn the single wheeler. Some people leant it in a minute. I wanted to be the quickest but clearly I’m not. We've got variation in price on the website pretty much depend on the size of the battery and the power of the motor and the advancement of the electronics that are inside of the device. Dave: it's www.airwheels.co.nz We are running 10% discount at this moment till the end of March, but we can extend it till the end of Easter due to popularity and for the RadioLive listeners. What a top bloke Mark is and a big thanks going out to RadioLive for spreading the news about these fantastic new devices that are Airwheels. Welcome to the Future New Zealand. Airwheels.... for the young and young at heart!